One-day! 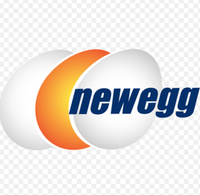 Newegg.com has 5% off Sitewide with Promo Code: NAF140671 Exp 10/21 - Maximum discount is $50. This is the highest amount we have seen. Use it on an expensive item like a computer or tablet. HP Envy 23” All-in-One Desktop PC Intel Core i5 $499.99 - 5% off = $475 Free Shipping.